Learn that the Internet is a large network connecting billions of "things" together! What are these "things" and how many are there? Read about it here! 3. Understand that the terms Internet and World Wide Web are not the same meaning! 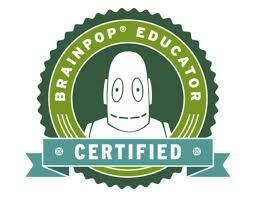 Go to BrainPOP and wait for directions on how to create a username and log in. Together, let's watch the video about the Internet. You will then create a concept map using Make-A-Map about facts about the Internet. Please refer to the video on the Internet and one other video in BrainPOP of your choice. Send to me when complete. Go to Activity and complete: Scavenger Hunt. Send to me when Complete. Go to ZoneX and play. Take 3-5 Snapthoughts and report on what you have learned. Please complete the below Google Worksheet. Remember to share it with me!